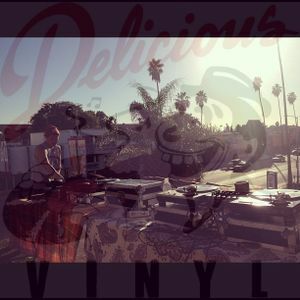 In a three part series of recordings, www.mixcloud.com/DeliciousVinyl & The Find are excited to be shining a light onto the &apos;Sunset Scratch Session&apos; Delicious Vinyl TV hosted at the end of October this year. Broadcasted live from the rooftop of DV on Sunset Boulevard, the session took place with the aim to showcase some of LA’s finest DJ talent. Hosted by Bodega’s own DJ Cee Brown, the session features the skills of DJs P-Trix, Manwell, Jawa, Flip Flop & C-Plus. Look out for the full background story with DJ profiles and interviews coming up on The Find Mag!